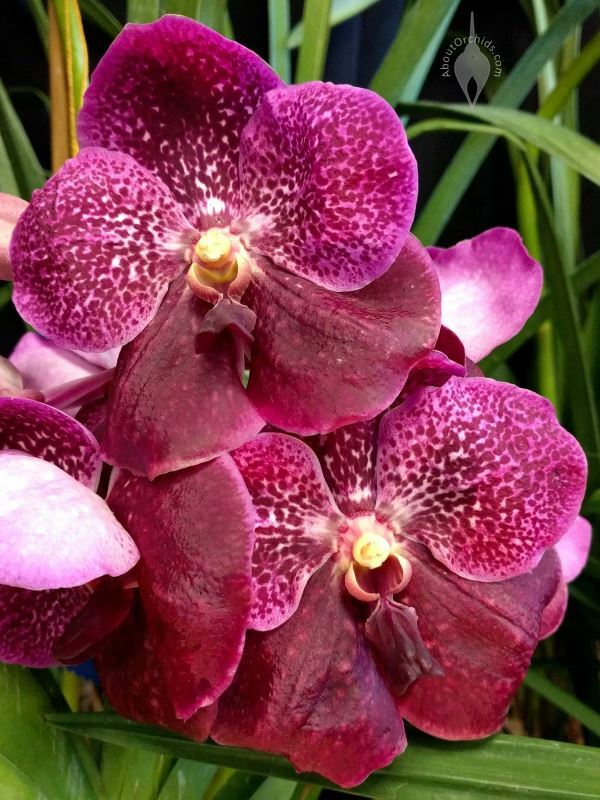 Vandas are orchid royalty. 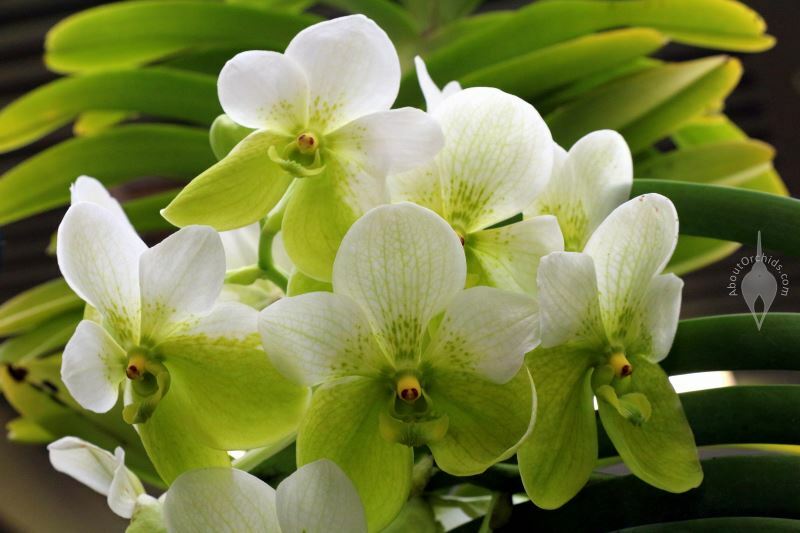 These popular tropical beauties have big, round, colorful, long-lasting flowers. 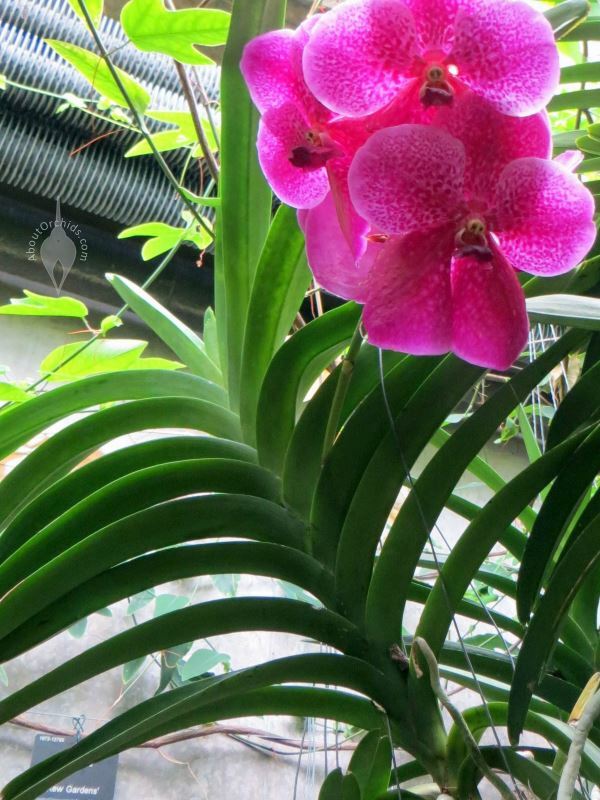 Called strap-leaf Vandas, they are best known in the tropics. In places like Hawaii, it’s easy for growers to accommodate these large plants with long roots and high light needs by tying them onto a tree. Outside the tropics, they’re tougher to grow. 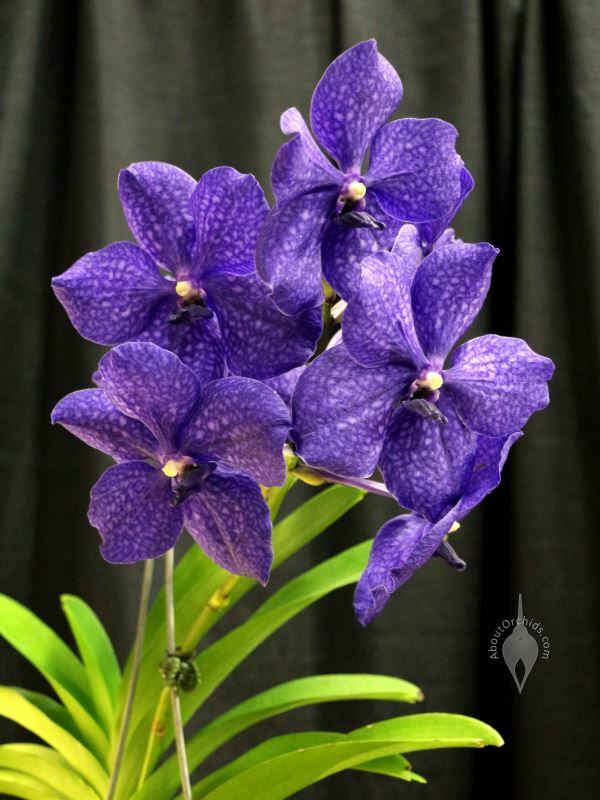 Their rainbow of colors includes blue, which is a rare orchid hue. 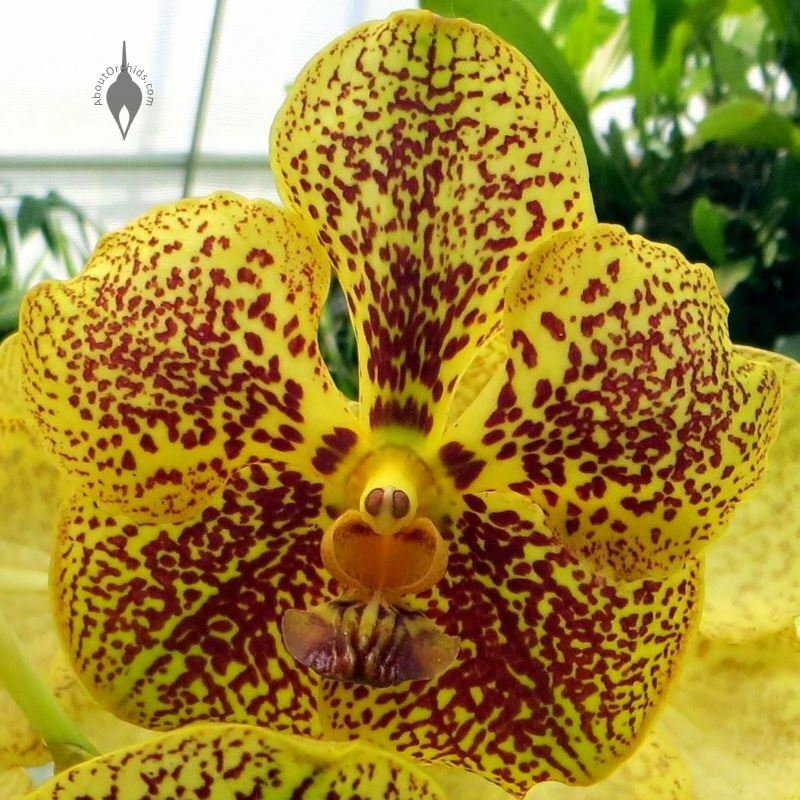 They’re native to a vast area from India through South China, Taiwan, Southeast Asia, Indonesia, New Guinea, the Philippines, and northern Australia. 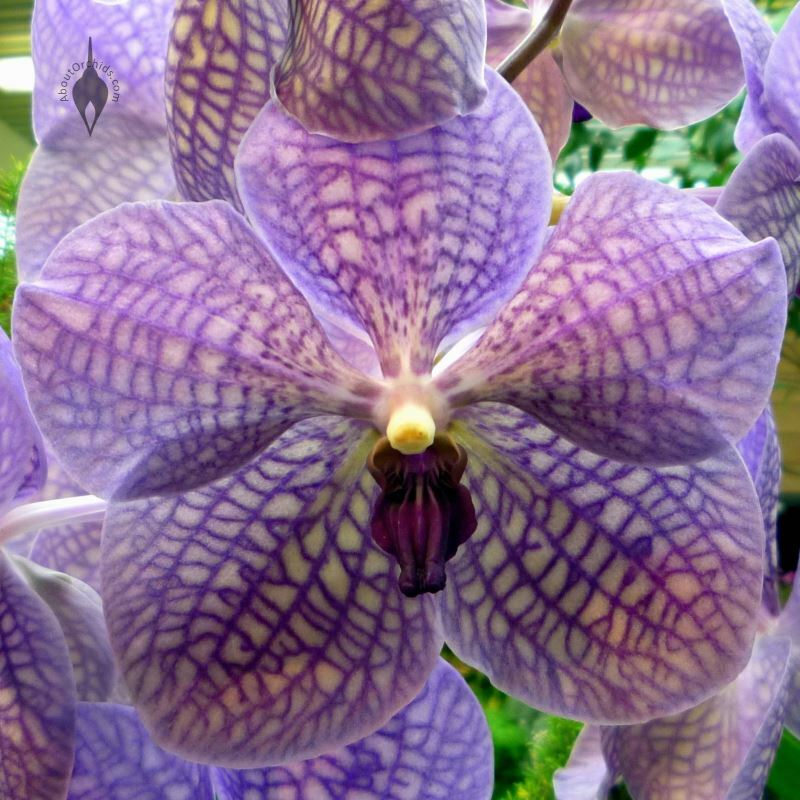 The name Vanda comes from the Sanskrit name of Vanda tessellata, a species native to India and Southeast Asia. Many varieties can grow into large plants. 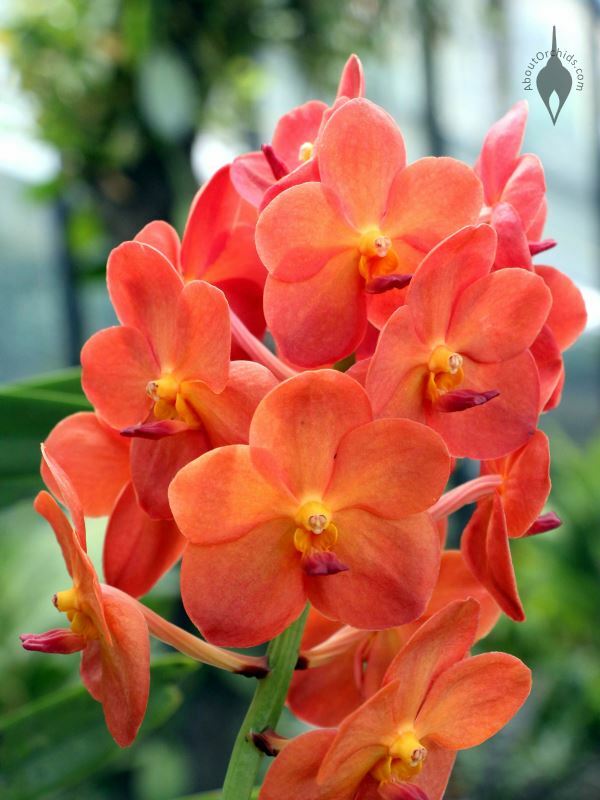 Vandas need morning sun, warmth, frequent waterings, fertilizer, and high humidity. 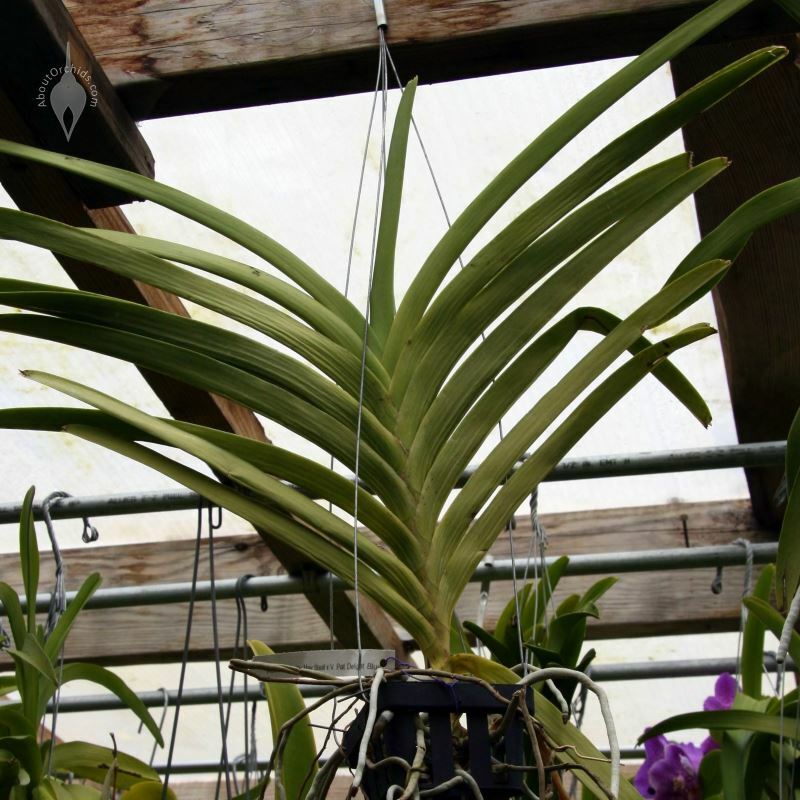 They dislike being potted at all, so they’re often kept in small wooden or plastic baskets, without any potting media, simply to anchor the roots. Most are warm growers, but there are some intermediate types, also. Hybrids are usually more temperature tolerant. 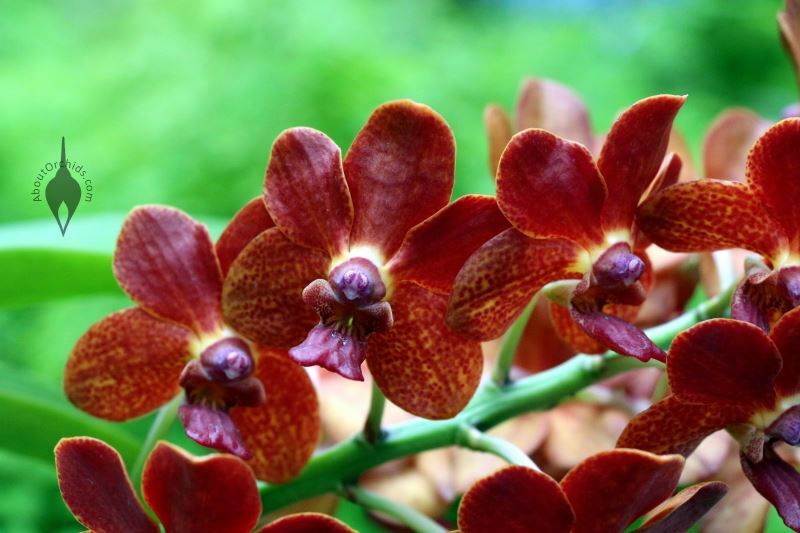 As with all orchids, diversity is the rule. 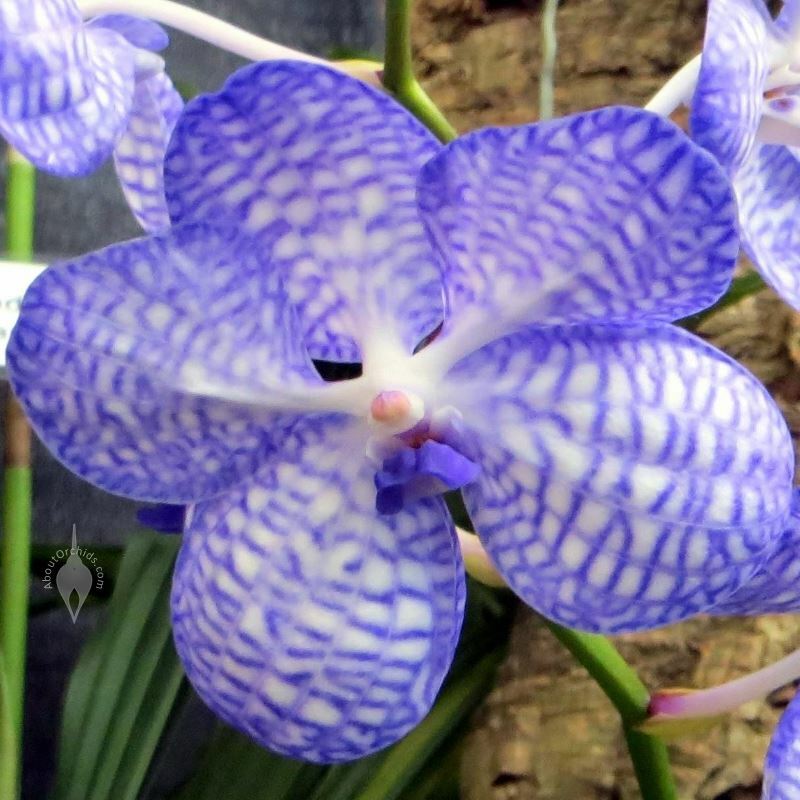 There are strap-leaf Vandas which don’t share the big, round, flat flower shape. Many hybrids have been created with related species. 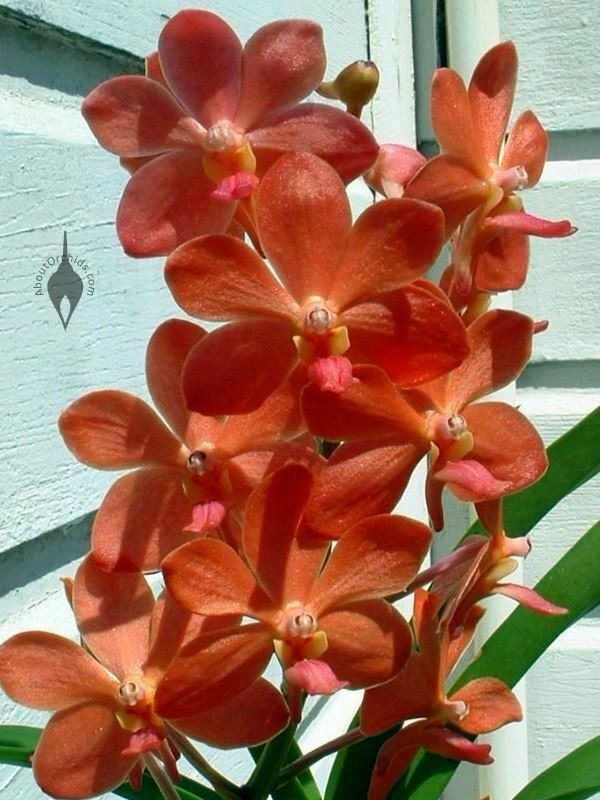 Some smaller varieties include a genus like Neofinetia or Ascocentrum in their names. Home growers without a greenhouse can fit these more compact plants on a windowsill. 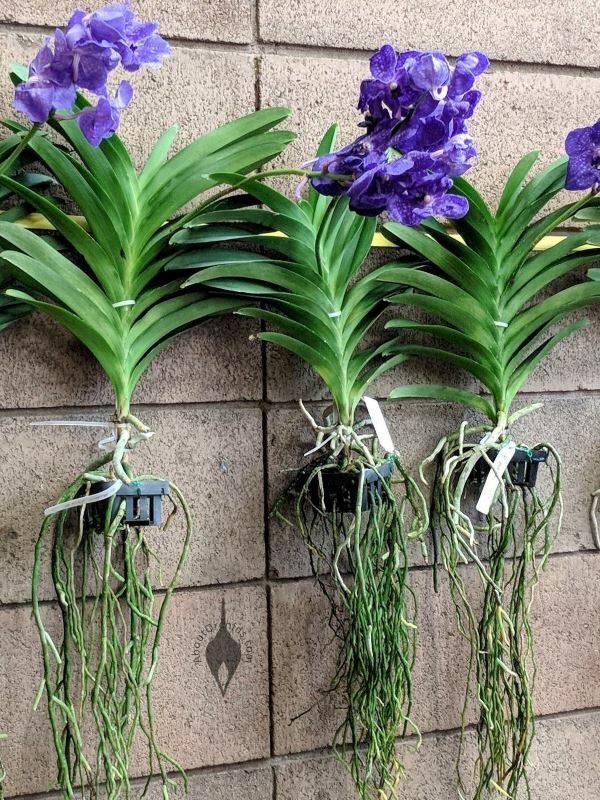 Large or small, Vandas bring tropical beauty wherever they grow. This entry was posted on Sunday, August 26th, 2018 at 3:06 pm	and is filed under Fertilizing, Growing, Photos, Warm Growers, Watering.